COLOR(S): Black & Tan with tan markings in specific areas; Multi-colored spotting with patches of tan, black, and gray. 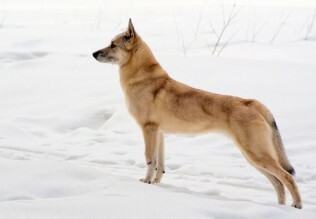 COLOR(S): Sandy, blue, and liver, with tan markings. Pups are born darker, and lighten later in life. COLOR(S): Reddish brown to dark brown with black overlap and black shading on the tail and muzzle.